I’ve enjoyed the past two months posting the MMGM links for all the fantastic bloggers out there. I’m also grateful to the talented Shannon Messenger. She entrusted me to take good care of her wonderful creation. It’s worked out so well I’m not going away! That’s right. Shannon will be getting a new author web site soon and won’t be able to blog. The transfer of MMGM to ALWAYS in the MIDDLE has been in the works for months, but Shannon wanted to makes sure I was comfortable with the new role. The trial period is over. I’m now fully trained and ready to carry the MMGM flag into next year and beyond. 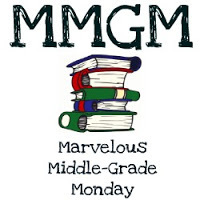 So… thanks to Shannon for all she has done for Marvelous Middle Grade Monday. I’ll do my best to keep our MG community of bloggers together. Welcome to your new home! I’ll be ringing in the New Year next Monday with the first set of MMGM links for 2018. This is great news, Greg! Thanks for taking this on. happy new year and thank you for taking this on!!!!!!!!! She chose well! Thanks for taking this on, Greg. It’s important work and you are the perfect person to carry the torch. I had a feeling this was going to happen! I can’t think of a better person. I agree with Rosi, Shannon chose well! Happy New Year! Won’t post tomorrow, Jan 8. Thanks for taking this on! Looking forward to participating and reading the posts! What an exciting time for you, and for us! Thank you soo much for being willing to pick up the MMGM flag and carry it forward. Tis much appreciated!